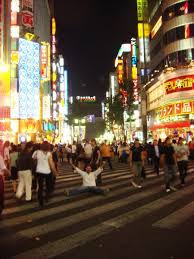 Tokyo is the main tourist destination in Japan. Its main attractions are a mix of culture, society and politics, qualities that give this city its own special character for any visitor. Undoubtedly, Tokyo is an unforgettable destination. Nikko is a city steeped in culture and religion. Declared "World Heritage" by UNESCO, its history is closely associated with the Tokugawa Shoguns. It also has a national park that borders the spectacular. It has one of the best collections of shrines and temples. It is famous for its huge statue of Buddha. Inevitably, Kamakura is a city that can not miss. Kyoto is the second most popular tourist destination in Japan. Its fame is mainly due to its excellently preserved historical sites (15 of them declared World Heritage Sites by UNESCO). Kyoto was Japan's capital and the emperor's residence (since 794-1868) and is the source in various aspects of Japanese culture as we know it today. Kyoto has many attractions and is a must see if you travel to Japan. Osaka is another great Japanese vibrant city. It is one of the most important ports and commercial centers of Japan. It combines history and modernity. Osaka is undoubtedly a destination that can not be overlooked. Modern Hiroshima is known as a place of peace. Destroyed by an atomic bomb during World War II, Hiroshima's main attractions its Peace Park and Memorial Museum. Do not forget to visit the nearby islands and the famous Miyajima Torii gate and bright. Nara is a beautiful place with magnificent temples that perfectly represent the best of the Buddhist culture. It is very near Kyoto and Osaka. Simply "a must place". Nagasaki was one of the most important in the ancient world in the seventeenth century and the meeting point between Japan and the Western world ports. This cultural crossroads Nagasaki makes "the most European city in all of Japan." Nagasaki was partially destroyed by a nuclear bomb during World War II. Among its main attractions is worth noting his "Peace Park" and Sofuku-ji temple with its unique and beautiful architecture reminiscent of Chinese temples.